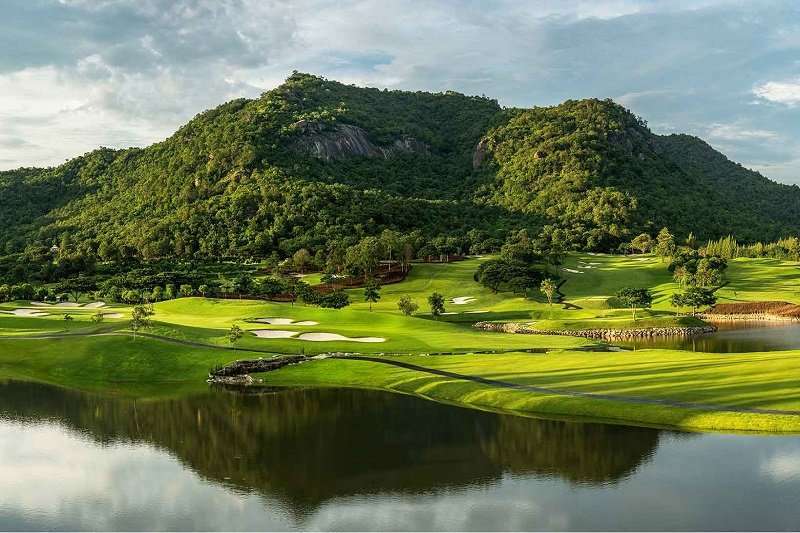 Black Mountain Golf Club opened in 2007 and has hosted three Asian tour events including the 2014 Kings Cup and has been named as Golf Digests top 100 courses outside the US, it has also won best course in Thailand for the past four years and was voted best course in Asia Pacific 2014. This 18 hole par-3 course is situated in a beautiful setting with views of the black mountains from every hole; the course caters for all levels of golfers and can be very challenging yet highly rewarding. 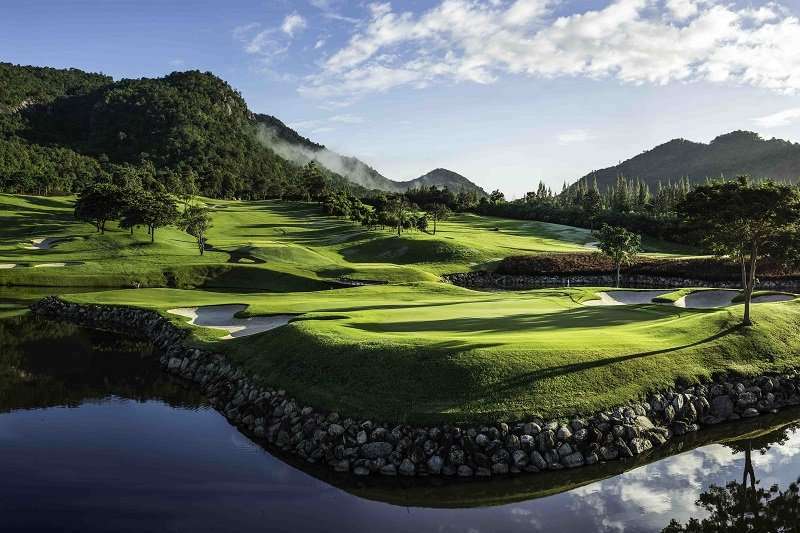 Black Mountain offers generous fairways that become reduced for the longer tee shots. 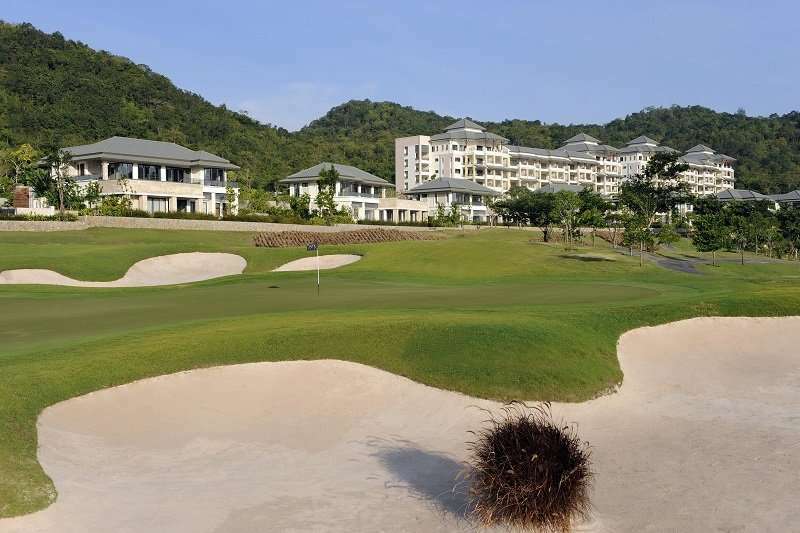 The greens are large with many pin placements that present diverse scales of difficulty and the holes are very well protected by frequent white sand bunkers. Black Mountain offers the most up to date golf buggies, first class practice facilities, luxurious locker rooms and a modern contemporary clubhouse overlooking the stunning course. 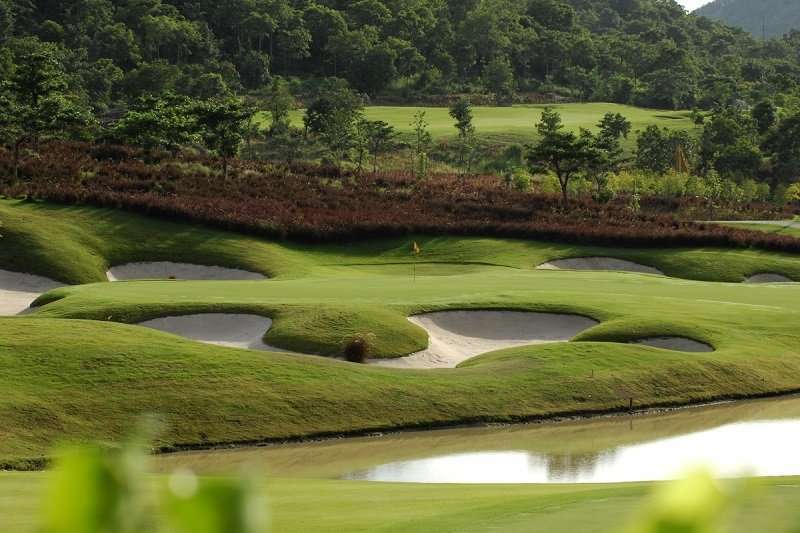 The clubhouse provides fine dining in the restaurant and has one of the best pro shops in Hua Hin. Other attractions at Black Mountain include a 9 hole par-3 course along with a wake board and water park.